Long summer nights, good friends and exceptional wine! The vintages of past harvests are sure to tease your senses with every sip. I had a great glass of wine the other night and it reminded me how much I love juicy and complex fragrance in a candle. 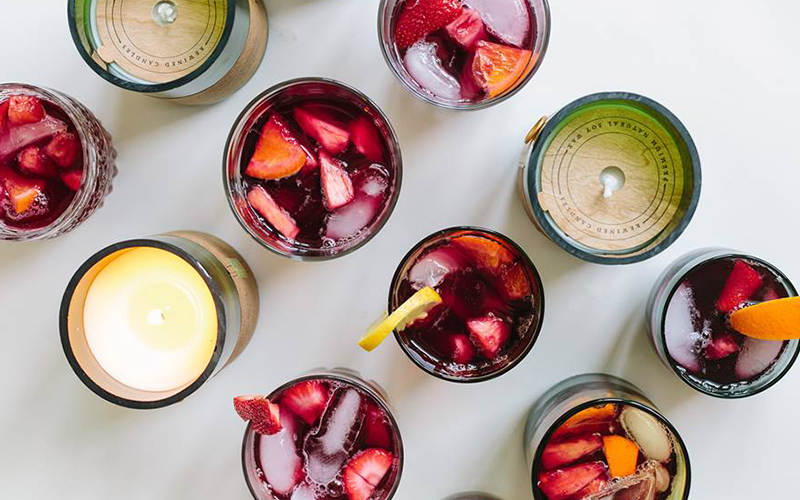 With wine on the brain, I’ve penned here for you my 5 favorite candles inspired by the love of great wine. Full of sweet, tart, playful fragrance, LAFCO’s Wine Room boasts notes of cherry, cognac and pomegranate. You’ll enjoy 90+ hours of fragrance in this 16oz candle. The delightful effervescent, sweet and flavorful notes of bubbly have inspired many great fragrances including Champagne by Rewined Candles. 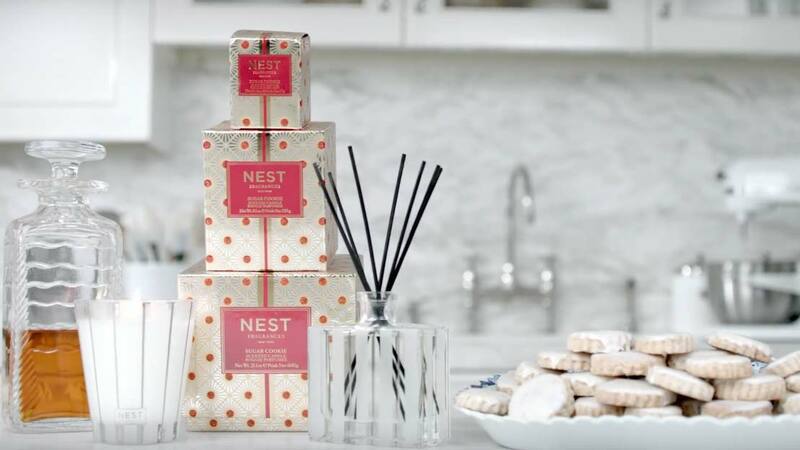 Notes of white grape, honey, baked bread and light citrus will fill any room with fragrance for 80+ hours. The recycle wine bottle this candle is poured in will make for a great accent to your next dinner party or Sunday brunch! Juicy ripe peaches, crisp iced prosecco, poured over sweet apricots muddled with superfine white sugar. Can you say, yum?! Procecco Bellini by Voluspa is always a top-seller and a candle I really enjoy, especially on a bright sunny day. There are many candle sizes to choose from, including a 2-wick tin and 12oz jar. Boutique candle maker Aura has created a signature scent called “Bubbly.” Filled with crisp celebratory notes of champagne, pinot noir, chardonnay — blended with rock sugar, this 10oz candle is always a go-to in my house. Guests will feel at home with and maybe even ready to dance a bit when you light this fancy fragrance! Red wine fans don’t lose heart, my last pick is for you. Wild Currant by Trapp Candles is full of deep and rich fragrance, including red currant and cassis. This candle (wax melt, room diffuser, votive or spray) is well rounded with green, tart and fruity scent notes. Need more help finding the perfect fragrance? Let us be your sommelier of scent! Browse by Bubbly, Red/White Wine or Berry/Currant fragrance families.